Should the federal government be able to prohibit states from legalizing sports betting? On Monday, the U.S. Supreme Court agreed to take that question up in its upcoming term. The eventual answer could radically change the availability of sports betting platforms in the U.S. and force the four major pro sports leagues and the NCAA to reconsider the appropriate place for betting on their games. The Supreme Court will review a legal controversy that began six years ago. This controversy centers on New Jersey Gov. Chris Christie's efforts to implement a state law that would enable New Jersey casinos and racetracks to offer sports wagering. Those wagers would then be subject to New Jersey taxes. This framework, Christie contends, would generate millions of dollars for his state. The New Jersey law became the target of a lawsuit brought by a formidable group—the NFL, NBA, MLB, NHL and NCAA—which collectively argued that the law is incompatible with the federal Professional and Amateur Sports Protection Act of 1992 (PASPA). PASPA prohibits 46 states from licensing, sponsoring or authorizing sports betting. (Nevada, Delaware, Oregon and Montana were exempt from PASPA since they had already adopted sports betting practices in 1991.) The Justice Department would later join the leagues and NCAA in their legal fight against New Jersey. The core legal question in Christie v. NCAA is whether PASPA violates the doctrine of “anti-commandeering” as embodied by the Tenth Amendment to the U.S. Constitution. The anti-commandeering doctrine bars Congress from ordering states to adopt a particular regulatory scheme when the federal government itself has not adopted a relevant scheme. New Jersey asserts that PASPA requires—“commandeers”—New Jersey to prohibit sports betting under New Jersey law. From this lens, PASPA forces New Jersey to act against its own will. In that same vein, New Jersey asserts, PASPA interferes with the sovereignty of states to decide whether sports betting ought to be lawful. As a corollary argument, New Jersey has argued that by empowering Nevada to maintain its sports betting scheme, PASPA violates what is sometimes called the “equal sovereignty doctrine.” Under equal sovereignty, states are owed equal treatment from the federal government. New Jersey contends that Nevada has received preferential treatment from the federal government. Of encouragement to New Jersey, U.S. Supreme Court Chief Justice John Roberts has repeatedly stressed the importance of the federal government treating states equally. The leagues and Justice Department disagree with New Jersey's reasoning. They contend that PASPA does not obligate New Jersey to adopt any scheme whatsoever. PASPA, from their viewpoint, only blocks New Jersey from legalizing sports betting. PASPA thus neither implicates the anti-commandeering principle nor treats states differently. Further, as the Justice Department has at times noted, the economic impact of sports betting clearly crosses state lines. This is a meaningful observation since under the U.S. Constitution's Commerce Clause, the federal government is authorized to regulate practices that impact multiple states. To date, the leagues and the Justice Department have prevailed in the litigation. They won before the U.S. District Court for the District of New Jersey and then won again before the U.S. Court of Appeals for the Third Circuit. But the U.S. Supreme Court is a different creature. For starters, the fact that the Supreme Court, which only agrees to review about 1% of cases, granted certiorari is suggestive that New Jersey might win. At least four of the nine justices must vote to grant certiorari in order for it to be granted. Therefore, at least four justices believe that New Jersey's case warrants a closer look. The U.S. Supreme Court is also ideologically different from the courts that have ruled against New Jersey. While the core legal issue in this litigation—whether a federal ban on sports betting compels a state to act (New Jersey's argument) or prevents a state from acting (the Justice Department, leagues and NCAA's argument)—doesn't have an obvious “liberal” or “conservative” answer, the U.S. Supreme Court is poised to consider the question from its collective set of values and beliefs. The current composition of the U.S. Supreme Court is, on balance, conservative and at times skeptical of the reach of the federal government. Four of the justices (Chief Justice John Roberts, Justice Clarence Thomas, Justice Samuel Alito and Justice Neil Gorsuch) are viewed as conservative while four other justices (Justice Ruth Bader Ginsburg, Justice Stephen Breyer, Justice Sonia Sotomayor and Justice Elena Kagan) are viewed as liberal. The remaining justice, Justice Anthony Kennedy, is often seen as a swing vote but he tends to lean conservative. To the extent a majority of the justices believe that the federal government ought to leave questions of sports betting to the states, the odds of New Jersey winning increase. New Jersey defeating the federal government and the leagues would be a direct victory for both Christie and the New Jersey casinos and racetracks that would profit from sports betting in the state. To the extent sports betting increases tax revenues to fund various New Jersey programs and initiatives, a victory for New Jersey would also be poised to benefit New Jersey residents and businesses—though, as critics of betting often stress, “the house” usually wins bets, so some New Jersey and visiting bettors and their families may be worse off if the Supreme Court rules for New Jersey. The impact of New Jersey winning would go well beyond the confines of the Garden State. In ruling against PASPA, the Supreme Court would pave the way for other states to adopt sports betting laws. To that end, representatives in Michigan, New York and South Carolina, among states, have introduced legislation in recent months that would adopt different types of sports betting models. This trend would accelerate should New Jersey prevail. To be clear, the legalization of sports betting would not make every type of sports bet lawful. New Jersey's proposed model, for example, would only permit casinos and racetracks to apply for sports betting licenses. Such licenses would not authorize betting on certain types of games, including college games played in New Jersey—a relevant restriction during NCAA tournament time—as well as games played by New Jersey colleges and universities. It is likely that other states would approach the betting landscape similarly, particularly with respect to uneasiness over betting on college games. The most obvious consequence of New Jersey adopting sports betting would be to provide an alternative locale for sports bettors to place their bets in a casino setting. Atlantic City would likely attract sports bettors, particularly those who reside on the East Coast and who want to experience the various entertainment attractions found in Atlantic City. If New Jersey loses, those same bettors might travel to Las Vegas instead. The extent of this effect is unknown, however, and whether New Jersey wins or loses, there would obviously remain many entertainment-related reasons for sports bettors to visit Las Vegas. Other industries would also be impacted by a New Jersey victory. Daily fantasy sports (DFS) companies, for example, have likely benefited from PASPA's restriction on sports betting. The degree of similarity between DFS and sports betting remains a matter of debate. DFS companies insist that DFS and sports betting are very different platforms since—among other things—DFS usually involves a greater degree of statistical analysis than sports betting and is thus seemingly more about skill than chance. Still, both DFS and sports betting may be catering to the same group of customers. Both platforms typically entail placing a wager on a sports-related outcome. DFS, however, has enjoyed a superior legal position by claiming protection from a federal law, the Unlawful Internet Gambling and Enforcement Act of 2006 (UIGEA). UIGEA exempts fantasy sports games from PASPA's ban on sports betting. While several states have banned certain forms of DFS, it remains lawful under federal law. However, if the Supreme Court removes PASPA's ban on sports betting, DFS companies would have to compete more directly with sports betting companies. The eSports industry might also view a New Jersey victory as impactful. eSports, which involves competitions between gamers playing video games and computer games, has a growing market for wagers and bets. eSports is also one of the fastest growing gaming platforms in the sports and entertainment industry. To the extent individuals who bet on eSports might turn to sports betting should it become lawful, the eSports industry may see its own stakes impacted by the Supreme Court's decision. PASPA exists because the four major pro leagues and the NCAA advocated for it. The passage of PASPA in 1992 came at a time when Americans viewed sports betting with more suspicion than they do today. Back then, the Pete Rose gambling scandal, along with reports of mafia-linked connections to sports betting, created a landscape where sports betting and sports corruption were seen as one and the same. Leagues insisted that unless Congress acted, athletes and coaches could be corrupted by sports betting influences. Congress acted by passing PASPA, and President George H.W. Bush signed it into law. Fast-forward 25 years. We live in a time where the NHL has placed an expansion franchise, the Golden Knights, in Las Vegas, where the NFL has approved the relocation of the Oakland Raiders to Las Vegas, where the commissioner of the NBA, Adam Silver, has publicly advocated for the legalization of sports betting and where the commissioner of baseball, Rob Manfred, has described Las Vegas as a viable location for a franchise relocation. Leagues and team owners have also invested millions of dollars into various DFS and eSports gaming endeavors. 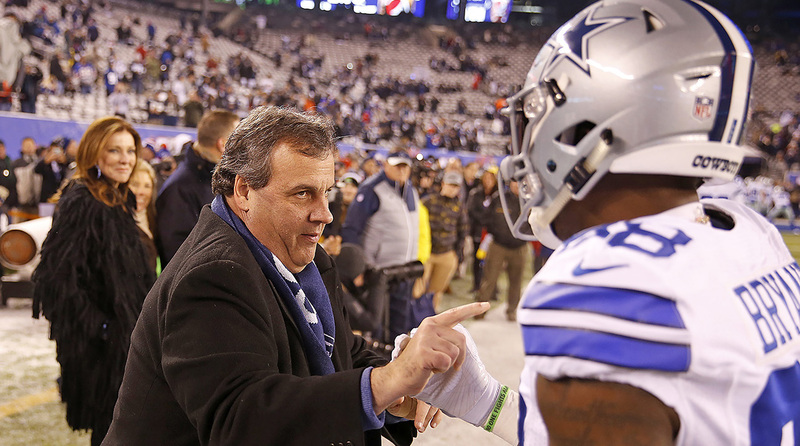 Although leagues have fought Christie and New Jersey in court, their actions and accompanying statements seem to signal support for regulated sports betting. Further, it stands to reason that if New Jersey wins, the NCAA might benefit as well. The NCAA could revisit its de facto ban on Las Vegas hosting championship games and profit from having games played there. As early as this fall, the Supreme Court justices hear oral arguments for Christie v. NCAA. A decision, however, won't be issued until next year. In the meantime, expect the numerous players—state governments, casinos, racetracks, leagues, owners, athletes, bettors, gamers and DFS and eSports companies—to prepare for what may soon become a very different landscape for sports betting in America.